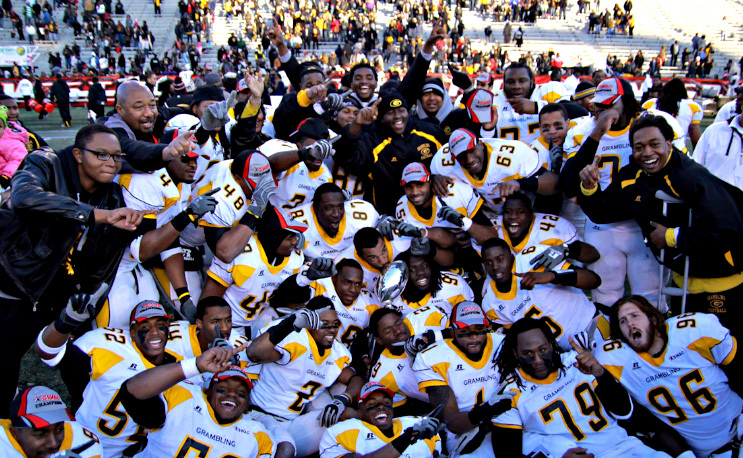 In a letter to the Grambling fan base on Friday morning, University President Richard Gallot, Jr. announced that Grambling State would have to vacate the 2011 SWAC football championship because of the use of ineligible players. The letter detailed not only infractions committed by the football program but a variety of sports on campus between 2010-2015. The NCAA has placed GSU on a two-year athletic probation, although only men’s basketball and men’s track have a postseason ban. Both of those bans are for one year. Gallot said that the NCAA began an internal investigation into compliance issues at GSU not long after he took over the presidency. “As a result of non- compliance between 2010-2015, we have to vacate certain wins, including the 2011 Southwestern Athletic Conference (SWAC) football championship. As much as we pride ourselves on having a winning, championship-level athletics program, we must operate in compliance with all aspects of NCAA bylaws, regulations and rules. When we have not done so, we, like all institutions, must suffer the consequences. We have to give up numerous events, games and records because ineligible players were permitted to participate in various sports and we have to give up some student-athlete scholarships. In addition, two of our track coaches have been disciplined for their individual violations,” Gallot said in Friday’s release. having a history of incidental to serious violations. a number of serious violations, including not meeting the single-year 930 APR benchmark for all sports with a men’s basketball APR of 875, a men’s cross country APR of 857 and a men’s track and field APR of 919.
condoning, participating in or negligently disregarding a violation or wrongful conduct. failing to properly certify 45 student-athletes in 11 sports, yielding 45 infractions in baseball, men’s basketball, women’s basketball, men’s track and field, women’s track and field, softball, women’s soccer, football, women’s volleyball, women’s tennis and women’s bowling. we have to vacate the 2011 SWAC championship because ineligible football players competed in regular season SWAC and/or non-conference football games during the fall 2011 season and ineligible football players competed in the 2011 SWAC championship game. permitting 24 athletes in six sports to practice, compete and receive expenses without meeting amateurism certification requirements. having 21 athletes in eight sports improperly certified in meeting progress toward degree requirements. a financial penalty of $5,000. a scholarship reduction in women’s track and field by one equivalency in 2017-18 and 2018-19.
restrictions on our women’s track and field program, including reducing the number of recruiting days during the 2017-2018 academic year. public reprimand and censure by the NCAA. vacating a number of events and games in which ineligible athletes participated, and those same events and games must be vacated for the individual ineligible student-athletes, though the individual eligible student-athlete finishes and awards will be retained. Gallot noted that these infractions occurred over a series of years and under the leadership of several different people in administrative roles. He ultimately accepted responsibility on behalf of the university and looked towards putting these matters behind Grambling. You can read Gallot’s statement in its entirety here. The greatest mistake in Grambling’s Great Football ‘s history was releasing Doug Williams ! Now the Coach,His Players and the Administration has bragged about winning a SWAC Championship and National Black Championship and had a big parade ,knowing all the time they were wrong . They have mislead a lot of Athletes and now Grambling has to pay dearly. What a shame and disgrace on behave of the Coach,Staff,Athletic Director and the Administration. Now,who does the 2016 SWAC Championship Trophy go to ? Take it away from Grambling.